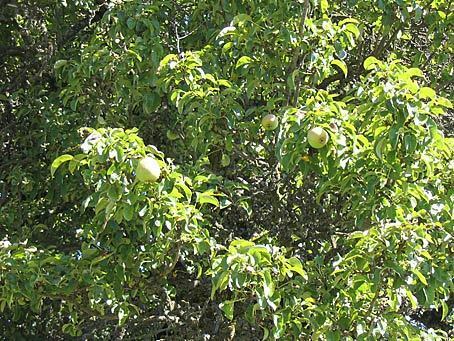 This pear tree is one of the oldest and largest in Oregon and was planted by the pioneer Munkre family who came over the Oregon Trail in 1846. 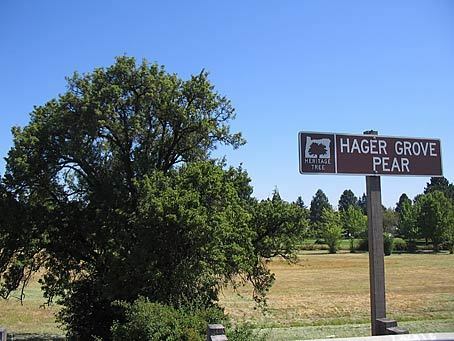 It is the lone survivor of a large pear orchard later known as Hager Grove and a popular creek side picnic and camping area. 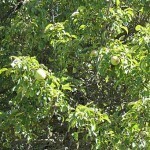 Still in good health and bearing fruit, it is so large that it is often mistaken for an oak tree, but when it blossoms in the spring there is no mistaking it for a giant fruit tree. 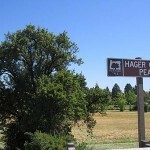 It stands in the northeast quadrant of the I-5 and State Highway 22 interchange in Salem. 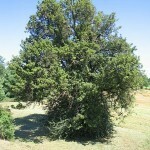 There is no parking available near the tree and can only be viewed in passing. 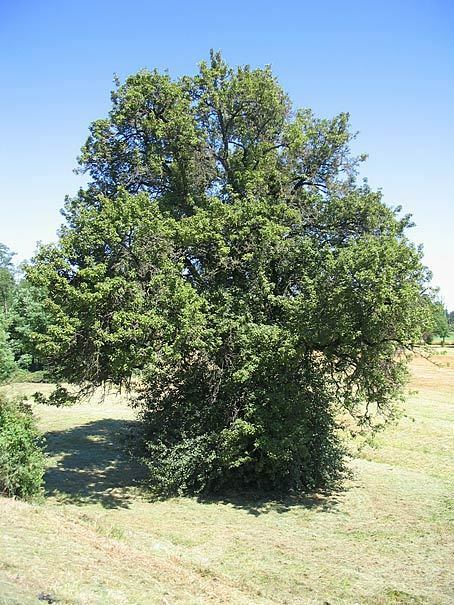 However, a small offspring of this historic tree is growing about one mile away at the museum located on the grounds of the Oregon Department of Forestry on State Street.